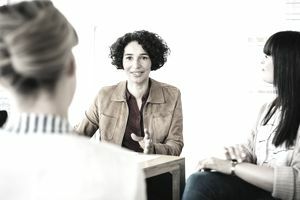 Countless combinations of skills and approaches go into being an effective manager, and all managers can continue to learn more tips and techniques throughout their careers to become better leaders. Reading up on new trends or simply referencing traditional methods as a reminder can be a great way to generate a spark that leads to a successful approach. Better communication, motivating employees, and building a strong team are among 10 specific actions you can take to improve your skill as a manager. Begin tackling a new item on the list a each day, and within two weeks you will be on the way to improving your skills in multiple ways. Sometimes you just need a list of quick tips designed to help remind you of the things you must do to improve as a manager. These tips are separated into seven categories, including business management, motivation, quality management, leadership, and more. Being a leader means a lot of different things, and your focus likely will change each day depending on specific needs at the time. Learn about the classic role of a leader, how that role has evolved over time, and dig deeper into topics such as vision, strategy, and motivation. Depending on your industry, there likely are many terms you encounter on a regular basis, from benchmarking to matrix management to turnover. Even if you already are familiar with the terms, it's good to review and remind yourself about the true purpose and meaning for the terms most relevant to you. Managers have to make many decisions every day and few things help with those decisions as much as a cost-benefit analysis. Learn how to run one. Although it is used primarily for financial decisions, it can make almost any decision you have to make a little easier by answering a simple question: Do the benefits outweigh the costs? Regardless of whether you are selling to the general public, have a specialty product that is used by only a few companies, or all the clients for your services are internal, you need to know whether they are satisfied. If they aren't fully satisfied, you need to understand their dissatisfaction is so you can fix it. A survey is a way you can ask them directly. Planning, organizing, and maximizing effectiveness are among the many things managers need to do every day. Whether you are new to the role or have extensive experience, it's good to review some basic principles to be sure you are addressing them as often and as efficiently as possible. Project managers focus daily on resources, time, money, and scope. Different from general management, overseeing a project focuses on one objective. Learn about the key elements of this job in detail. Italian economist Vilfredo Pareto introduced the idea that 80 percent of something can be attributed to 20 percent of a driving factor. For example, 20 percent of the sales force will sell 80 percent of the products sold, 80 percent of the failures will occur in 20 percent of the products, 20 percent of the employees will cause 80 percent of a manager's headaches, and so on. Learn about the limitations of Pareto's principle, how it has evolved over more than a century, and why it still is relevant today. Learn about the three things you need to ask potential employees and how to interpret their answers. These are core business questions, not trick questions designed to confuse candidates, and they will help you make the right choice. A significant part of being a good manager is surrounding yourself with the best possible talent, so knowing what to ask during interviews will help you build an efficient team.